Great Staff! Super friendly and made me feel right at home. "Work was done as quickly as possible and I was made as comfortable as possible." "I've been going to Dr Heiden for 6 years, and have had amazing service and dental work." "Dr. Heiden He was courteous, professional and knowledgable." 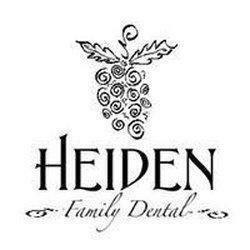 Dr. Justin Heiden is a family and cosmetic dentist at Heiden Family Dental in Sunnyside, Washington. He strives to constantly provide the best possible dentistry for the patients in his practice, finding great satisfaction in helping people restore their teeth and mouth to good health. Dr. Heiden graduated from dental school in 2002 from the prestigious Medical College of Virginia. Since graduation, he has strived to keep up with the most advanced procedures and state-of-the-art technology in the profession of dentistry. Many of his patients are impressed at how many advanced dental procedures he performs right in the office, and they’re often surprised that they don’t have to get a referral to a specialist for many services. For patients that have endured negative dental experiences in the past or have dental phobias, Dr. Heiden prides himself in being sensitive to their needs. He ensures that every patient is comfortable and at ease so that they can have a truly positive experience during their dental visit. Dr. Heiden does his best to discuss each patient’s treatment plan in a way that makes sense to them. He listens to patients’ concerns, answers any and all questions, and makes the treatment they need fit into their budget. What Dr. Heiden enjoys most is helping people improve their smiles with a wide variety of advanced procedures. He finds it satisfying when patients thank him for eliminating their pain and giving them beautiful smiles. Free Cosmetic and Dental Implant Consultation. Contact Us Now! "All staff has a great attitude. They truly know their business. Everything is explained so you aren't in dark about anything. Dr. Heiden truly does an amazing job!" "When a crown came off, they got me in right away and took care of the problem. The staff was friendly and acted in a professional manner." Dr. Heiden was quick and careful. I would definitely recommend my friends and family and even strangers that are looking for a great dentist." "Absolutely love Dr. Heiden and his staff. This clinic goes above and beyond for their patients. I will never go any where else." "Dr. Heiden is sincere, kind and his staff is on point. I really enjoyed the personalized care he gives and reccommend him to everyone I know." "Dr. Heiden is very kind and gentle and does a great job of explaining what's going on. I cannot recommend them highly enough!"